Start Generating More Blog Ideas Quicker! Staring at the computer screen trying to figure out what to write about a topic that you haven't already done. Yeah, it's no fun. 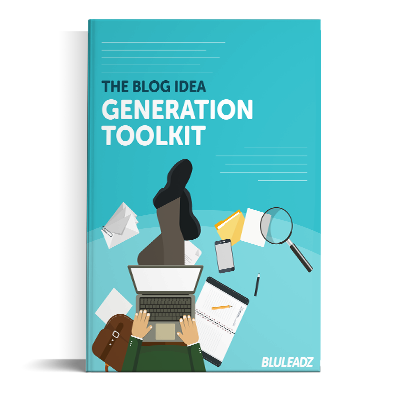 This is why we've curated our Blog Idea Generation Toolkit – just for you! This toolkit highlights our favorite tools on the web to give you unique ideas for your next blog post. And, we'll even gift you with an easy-access link to each tool so you can check them out for yourself! Share the best tools in the biz for all things idea generation. Briefly explain how to use each tool to create thousands of new ideas for your blog. Provide you with an easy link so you can access each tool from one location.